Congratulations to Education Policy, Organization & Leadership's Rachel Roegman, who will be recognized with a 2019 AERA-Division A Early Career Award at the organization's Annual Meeting in Toronto. Roegman, an assistant professor in the EPOL department since 2017, examines the interconnections of equity, contexts, and leadership, and her work focuses on the development and support of equity-focused leaders. 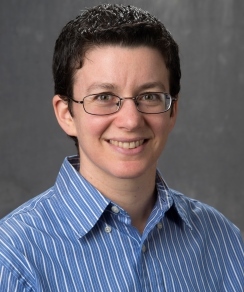 She was nominated by Anjale (AJ) Welton, a colleague in EPOL, for the award which recognizes an early career (pre-tenure) scholar who has made outstanding research contributions to the field of leadership, administration, or organizational theory. Roegman will be presented with a plaque and honorarium from AERA. Roegman thanked Dean Anderson and her department head Dr. Yoon Pak for their support of her research, which she said, "has given her the foundation for this type of recognition."